Making and playing music, or musicking, has become activity almost exclusive to properly educated specialists, also known as professional musicians. To prove the point, let me ask you a question: When was the last time you made a completely free choice to listen to some amateur musicians? Instead of relying on a proven consumer products sold by the music industry? I suspect, that you have a hard time to remember. Unless you have small children and have enthusiastically participated in a school concert of some kind. But that doesn’t really represent a free choice, does it? And what we are talking here about, is listening. If I asked about your active participation in musicking, I bet that many of you would need to go way back in your memory. Sadly, this is not okay. I am sure, that many of your memories and important moments in life somehow relate to music. Your life has a unique music soundtrack. And a few melodies are so strong that when you hear them, they immediately recall those great memories. The sad part here is, that your life soundtrack has been written and played almost exclusively by someone else. Sure, they are professional musicians and many of them are doing a great job. But why would you leave such an important part of your emotional life completely to others? I challenge you to change your relationship with music and consider working on your own life soundtrack. Start making music mindfully. And those great memories of yours will be triggered by melodies you perform, even you compose and produce. How can you do it? It is simple – you make the decision to start playing. And Musicably can help you with your beginning steps. Musicably promotes simplicity in playing music, or musicking. Please don’t confuse simplicity with easy. If you want to reach anything of value in life, you know that you have to dedicate a time and effort, to make things happen. It is no different with playing a music instrument. Don’t worry, I don’t want you to spend popularized 10,000 hours of deliberate practice to master a skill. The reason is, that you are not reading this to become a musical virtuoso, in the first place. Right? Also you hardly have that much time for musicking anyway. You are busy in your work, at home, with your family and friends. But you need to play. See, I am not saying practice. So what makes Musicably different? It is in the approach. Your approach! Even those 10k hours are not set in stone. They don’t guarantee successful results, if practicing mindlessly. Here is an interesting TED-Ed video about practicing. – Effective practice is consistent, intensely focused, and targets content or weaknesses, that lay at the edge of one’s current abilities. – Effective practice is currently the best way we have, of pushing our individual limits, achieving new heights and maximizing our potential. So why am I writing about practicing and at the same time NOT insisting that you practice, and instead just play? Because I am sure you want to have fun and still reap benefits of musicking. The key is in your approach to the whole process. I want you to mindfully combine your practicing and performance approach into one – playing. I want you to entertain yourself from the very first moment you hold the instrument. You can compete with yourself, make jokes about your steps, laugh about your stumbles. You can invent and play small games with yourself and your instrument. You can enjoy the listening experience when tuning and preparing the instrument. Every playing/practice you can decide to consciously turn into a performance for for the most important audience you can imagine – yourself. When you play, you practice. -> When you practice mindfully, you improve. -> When you listen and search for those improvements, you feel great. -> And when you feel great, you enjoy your performance and yourself. 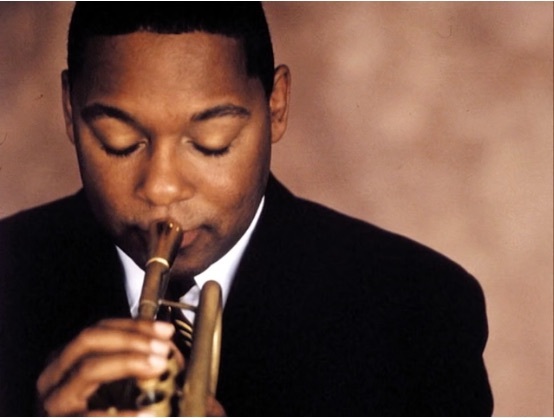 Below is an advice on practice from Wynton Marsalis, one of the best trumpet players in jazz and the classical music. As a professional musician, his approach is much more focused and deliberate. But reading through twelve tips you may realize, that this approach can be helpful not only with music, but also any other activity. One of the benefits you can gain when playing with Musicably. 1. Seek out instruction: A good teacher will help you understand the purpose of practicing and can teach you ways to make practicing easier and more productive. 2. Write out a schedule: A schedule helps you organize your time. Be sure to allow time to review the fundamentals because they are the foundation of all the complicated things that come later. 3. Set goals: Like a schedule, goals help you organize your time and chart your progress…. If a certain task turns out to be really difficult, relax your goals: practice doesnʼt have to be painful to achieve results. 4. Concentrate: You can do more in 10 minutes of focused practice than in an hour of sighing and moaning. This means no video games, no television, no radio, just sitting still and working…. Concentrated effort takes practice too, especially for young people. 6. Practice hard things longer: Donʼt be afraid of confronting your inadequacies; spend more time practicing what you canʼt do…. Successful practice means coming face to face with your shortcomings. Donʼt be discouraged; youʼll get it eventually. 7. Practice with expression: Every day you walk around making yourself into “you,” so do everything with the proper attitude…. Express your “style” through how you do what you do. 8. Learn from your mistakes: None of us are perfect, but donʼt be too hard on yourself. If you drop a touchdown pass, or strike out to end the game, itʼs not the end of the world. Pick yourself up, analyze what went wrong and keep going…. 9. Donʼt show off: Itʼs hard to resist showing off when you can do something well…. But my father told me, “Son, those who play for applause, thatʼs all they get.” When you get caught up in doing the tricky stuff, youʼre just cheating yourself and your audience. 10. Think for yourself: Your success or failure at anything ultimately depends on your ability to solve problems, so donʼt become a robot…. Thinking for yourself helps develop your powers of judgment. 11. Be optimistic: Optimism helps you get over your mistakes and go on to do better. It also gives you endurance because having a positive attitude makes you feel that something great is always about to happen. 12. Look for connections: If you develop the discipline it takes to become good at something, that discipline will help you in whatever else you do…. The more you discover the relationships between things that at first seem different, the larger your world becomes. In other words, the woodshed (practicing) can open up a whole world of possibilities.